Facebook Post | ABC Pest Control Inc.
How are your Mangoes 🥭 doing? I know many of you think that you will never experience a termite problem in your home or office, but let me tell you that most of the new termite problems ABC Pest Control hears about starts with a phone call from a terrified homeowner who states "We never saw anything out of the ordinary and we had no idea that termites were devouring our home." We are unable to find iTunes on your computer. To download and subscribe to Florida Gardening by 970 WFLA (WFLA-AM), get iTunes now. Plant of Bug problems? 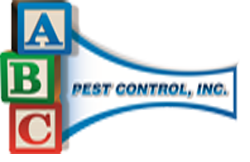 Get your questions answered quickly by emailing mark@abc-pestcontrol.com. Be sure to include photos of your plants and pests!